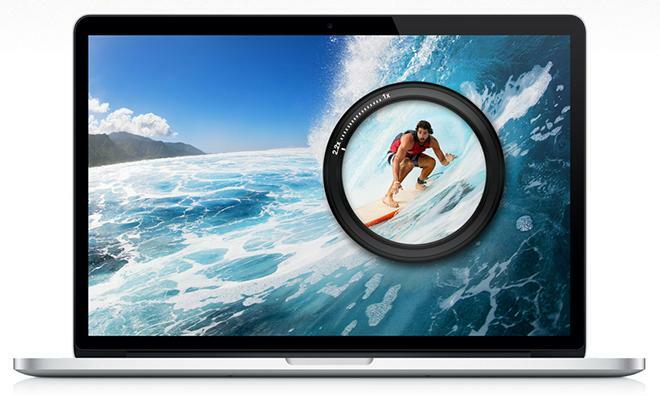 A system appearing to be Apple's next-generation 15-inch MacBook Pro, featuring a quad-core Haswell processor clocked at 2.4 gigahertz, has appeared in an online benchmark test. 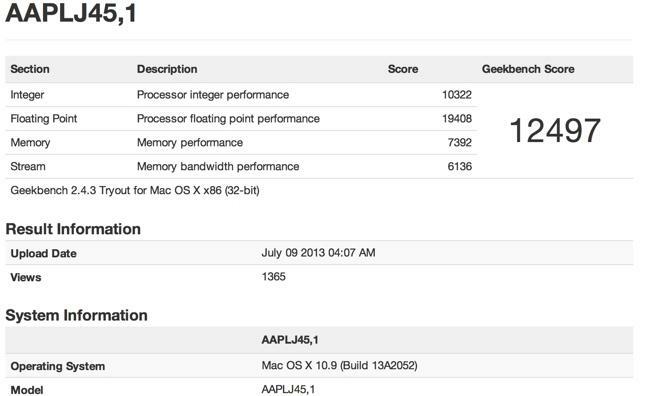 The Geekbench result for a machine identified as "AAPLJ45,1" was spotted on Tuesday by MacRumors. The test machine features 16 gigabytes of RAM and was spotted running OS X 10.9 Mavericks Build 13A2052. The machine earned a Geekbench score of 12,497, which is comparable with current-generation 15-inch MacBook Pro models. It's likely that any MacBook Pros with Haswell would see improvements in battery life rather than horsepower, as already seen in the new Haswell-equipped MacBook Air models. The CPU found in the assumed pre-release MacBook Pro is an Intel Core i7-4950HQ. Intel's latest-generation Core i7 mobile chips feature Iris 5200 graphics. The Iris moniker launched by Intel this year is a way for the chipmaker to differentiate its premium integrated graphics from the traditional "Intel HD" solution. Iris 5200 is Intel's top-of-the-line GPU option, intended to compete with Nvidia's GeForce GT 650M, a discrete GPU currently found in the 15-inch Retina MacBook Pro. Last month, Geekbench tests also revealed what appears to be a next-generation 13-inch MacBook Pro with Intel's Haswell. That system, which featured a Core i5-4258U processor clocked at 2.4 gigahertz, earned a score of 7,140.